The first motion picture to be produced by Wendy Federman / Foolish Mortals Productions, WAKEFIELD, starring Bryan Cranston and Jennifer Garner, is now an official selection of both the Telluride Film Festival and the Toronto International Film Festival. The 43rd annual Telluride Film Festival is wrapping up today, with all the movies having premiered. As I noted a few days ago, it has been a very good fest for Best Actor candidates — and not just for this year’s nascent 2016 Oscar race. In the case of Bryan Cranston and Richard Gere, you can make them early contenders for the 2017 contest. Both actors appeared to introduce their films, Cranston with co-star Jennifer Garner for acquistion title Wakefield from writer-director Robin Swicord and Gere, on a very quick 24-hour trip to the fest, for Sony Pictures Classics’ terrifically entertaining Norman: The Moderate Rise and Tragic Fall of a New York Fixer from writer-director Joseph Cedar. September 4, 2016 – VARIETY.com review of WAKEFIELD, with a personal mention of Wendy’s cameo! Excerpted from THE PLAYLIST, August 31, 2016; The 30 Most Anticipated Films Of The 2016 Toronto International Film Festival, by Oliver Lyttleton. “Wakefield” – With an Oscar nomination for last year’s “Trumbo” (which also premiered at TIFF), Bryan Cranston’s now firmly ensconced as not just a multi-Emmy-winning TV star, but a movie actor too, and has thrown off the shadow of Walter White while he’s at it. For his next trick, he’s headlining this film, an intriguing drama based on a short story by E.L. Doctorow. The second feature as director from “The Curious Case Of Benjamin Button” writer Robin Swicord (her first was the somewhat underrated “The Jane Austen Book Club”), it stars Cranston as a suburban father who disappears from his own life and hides out in his garage attic, observing his wife (Jennifer Garner) and children as they deal with the fallout from his disappearance. It’s an intriguing set-up, one with echoes of Cranston’s most famous role in some ways while arguably pushing him into different territory than something like “The Infiltrator,” and if anyone can pull off a near-one-hander like this, it’s Cranston. Some noteworthy female directors will attend, including… and Robin Swicord, who wrote and directed “Wakefield,” an adaptation of an E.L. Doctorow story starring Bryan Cranston as a man who spies on his wife. Another marital drama playing is Wakefield, with Bryan Cranston as a man who starts to spy on his wife, played by Jennifer Garner. Jennifer Garner is starring opposite Bryan Cranston as his wife in the drama “Wakefield” with Robin Swicord directing from her own script. Production has started in Los Angeles. Bonnie Curtis and Julie Lynn are producing through their Mockingbird Pictures banner with Broadway producers Wendy Federman and Carl Moellenberg. The film is based on a short story of the same name by E.L. Doctorow — which is a retelling of a story by Nathaniel Hawthorne, also called “Wakefield” — about a man who unexpectedly leaves his wife for an extended period of time. Cranston revealed the project during a November interview on “The Howard Stern Radio Show,” explaining that he will play a married Manhattan lawyer who sees a raccoon in the attic of his home and winds up staying in the attic for several months due to a nervous breakdown. He also said his character will become romantically involved with a younger woman at some point in the story. 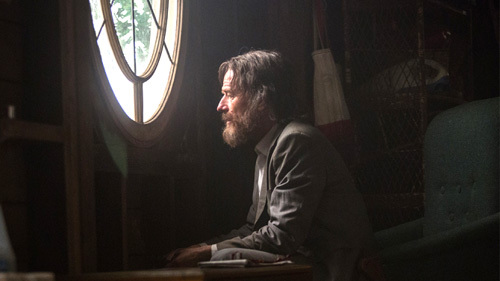 Cranston’s character will depart his family after being left stranded and recalling a fight he had with his wife the previous night. When he arrives at home, he decides not to enter his house but instead climbs the stairs of his carriage house-turned-garage up to the attic space — and lives there for the next nine months, emerging only at night and rummaging through trash cans for food while watching his family adjust to life without him much faster than he expects. Curtis and Lynn partnered under the Mockingbird Pictures banner after producing “Albert Nobbs,” which was nominated for three Academy Awards. Mockingbird produced “Last Days in the Desert,” which premiered at Sundance this year, and Rob Spera’s “The Sweet Life,” which is currently in post-production. Federman and Moellenberg have together won 11 Tony Awards for Broadway productions including “Hair,” “Spring Awakening,” “War Horse,” “Pippin,” “Death of a Salesman” and “Curious Incident of the Dog in the Nighttime.” They also produced last year’s Broadway hit “All the Way,” for which Cranston won a Tony as Lyndon B. Johnson. “We joyfully supported Bryan on his way to the Tony stage with ‘All the Way,’ and we are looking forward to joining him on this cinematic journey with ‘Wakefield,’” said Federman and Moellenberg. Red Granite International is handling foreign sales. UTA is handling domestic sales. Swicord’s screenplay credits include “Memoirs of a Geisha,” “The Curious Case of Benjamin Button” and “The Jane Austen Book Club,” which she also directed. Photos of BRYAN CRANSTON & JENNIFER GARNER above ©2015 Miguel Aguilar, PacificCoastNews. To view the original article on the Variety website, click here. 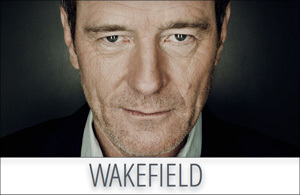 To view the Wakefield promotional image/info deck, click here. 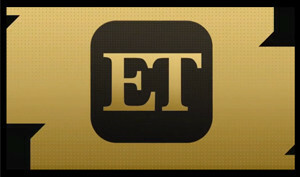 To view the video segment, Bryan Cranston Looks Unrecognizable On The Set of His New Movie — See the Pic!, from Entertainment Tonight, click here. 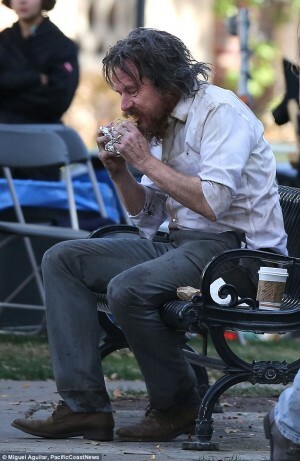 To view the Daily Mail Online article, A bearded and disheveled Bryan Cranston is almost unrecognisable as he films Wakefield with Jennifer Garner in LA, click here.